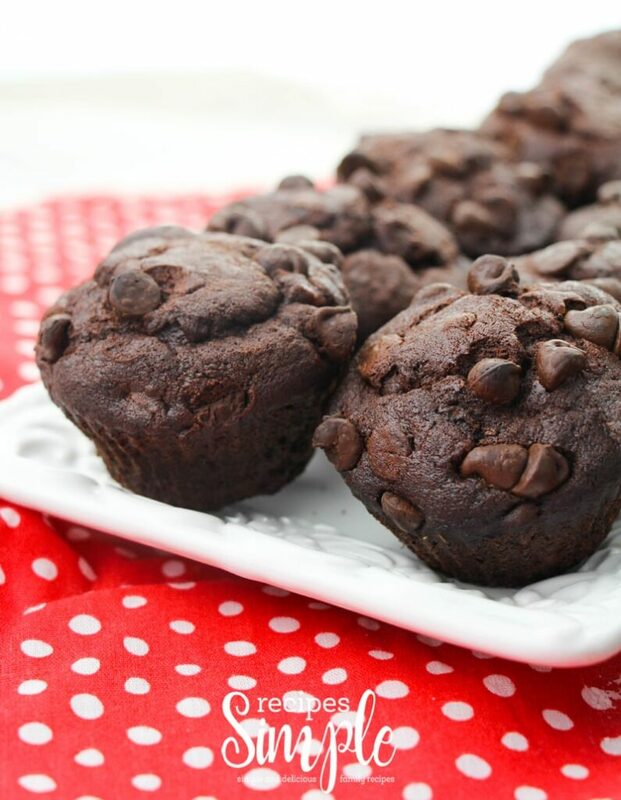 These Double Chocolate Banana Muffins are made with greek yogurt and they are incredibly moist and full of flavor! 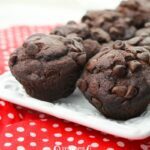 They are the perfect sweet chocolate breakfast treat or yummy afternoon snack and are so easy to make. 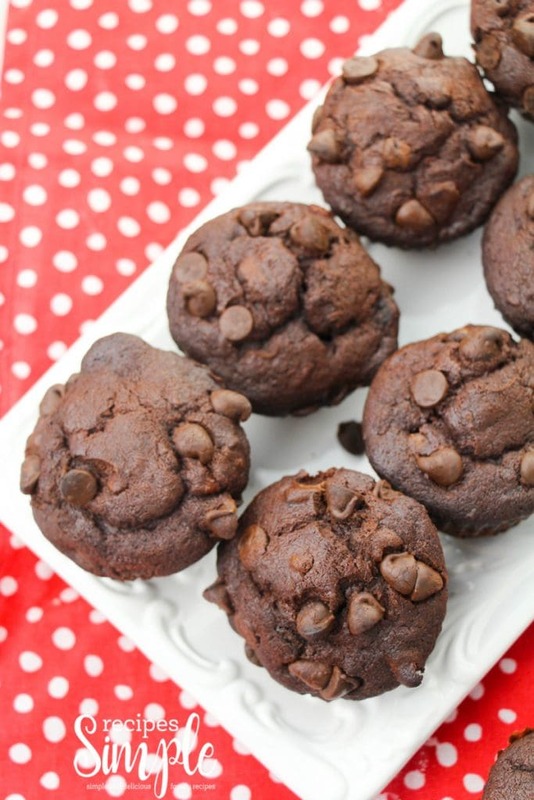 Get your chocolate fix with these delicious Double Chocolate Banana Muffins! It’s hard to eat just one. They are so good. Preheat oven to 350F. Line two muffin trays with muffin liners. Using a mixer, combine the butter and brown sugar for 2 minutes until light and well combined. Add in bananas the add the egg, vanilla and sour cream. Mix thoroughly. Next add in the dry ingredients and combine fully. Fold in the chocolate chips into batter. Scoop 1/4 cup portions of the batter into the muffin liners. Top with more chocolate chips, as desired. 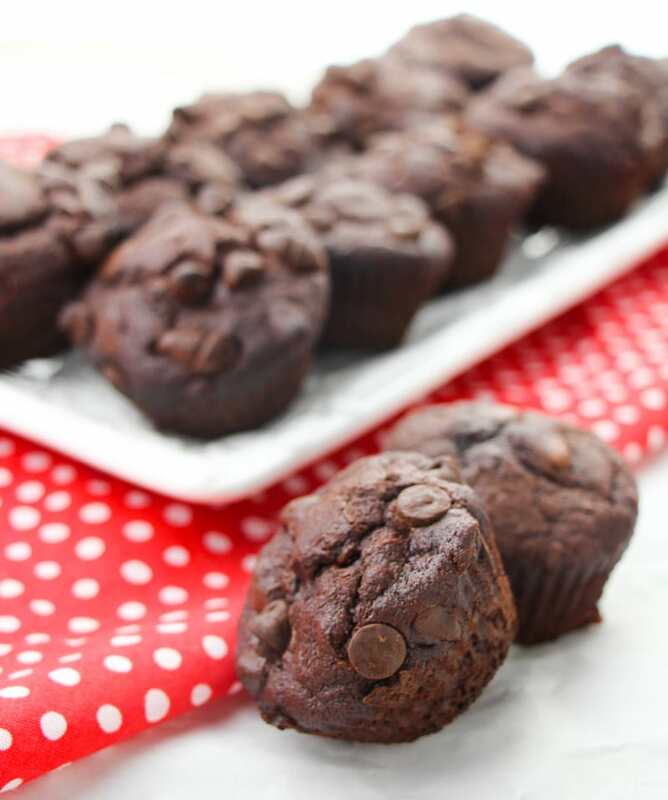 These Double Chocolate Banana Muffins are made with greek yogurt and they are incredibly moist and full of flavor! Don’t forget to PIN IT for later. 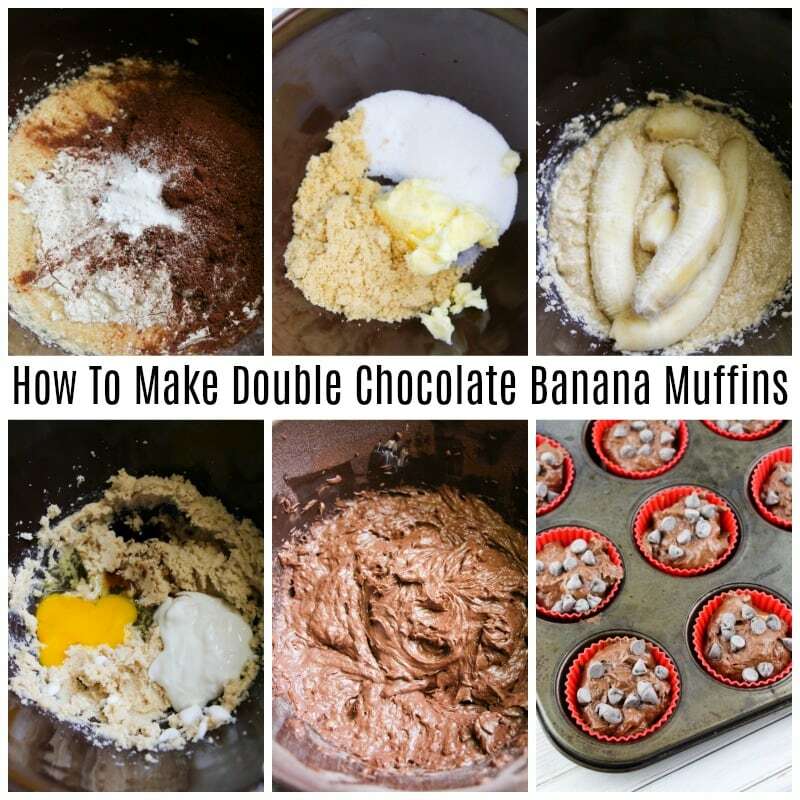 Hope you enjoy these Double Chocolate Banana Muffins made with Greek yogurt.